I love old strategy guides, especially ones from the 2d era. All those 2d maps and secrets collected together with sprites and promotional art translated well in strategy guides. My pickups from my business trip to Louisville. Nothing super crazy, but everything was cheap and I thought the Breeder's Cup World Thoroughbred Championships was really fitting since I was in Louisville. These games put me at exactly 1,999 games. I figure I want to make game 2,000 special so I'm waiting until I find something interesting. It's pretty fun to look through strategy guides especially from the older games, It's a nice sub genre to collect for. 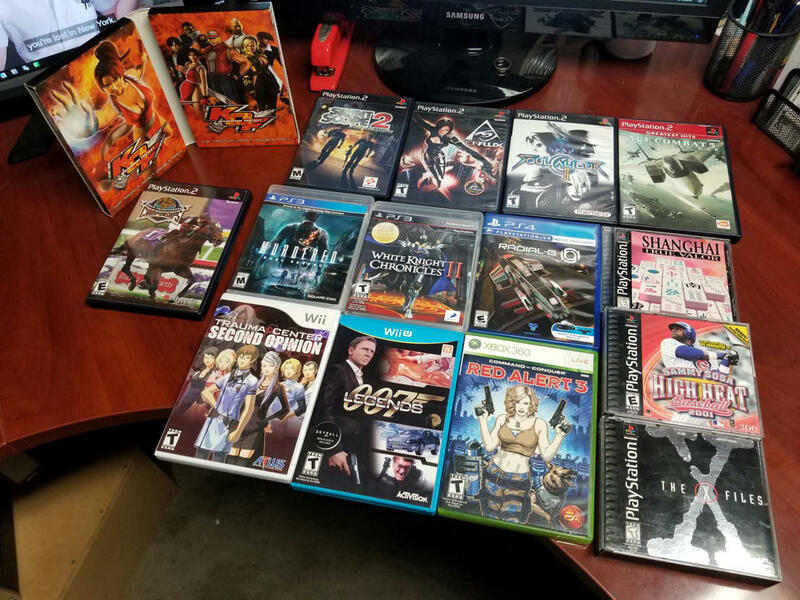 Snagged a LOAD of Xbox games at a chairty store this week - Most please with the Jet Set Radio Future/SegaGT2002 set with is the full games! Always wanted a copy of JSRF! Also got DreamFall which is a nice Collectors Edition for PC (I NEVER get PC games but this one as always interested me) somes tieht the prequel too! 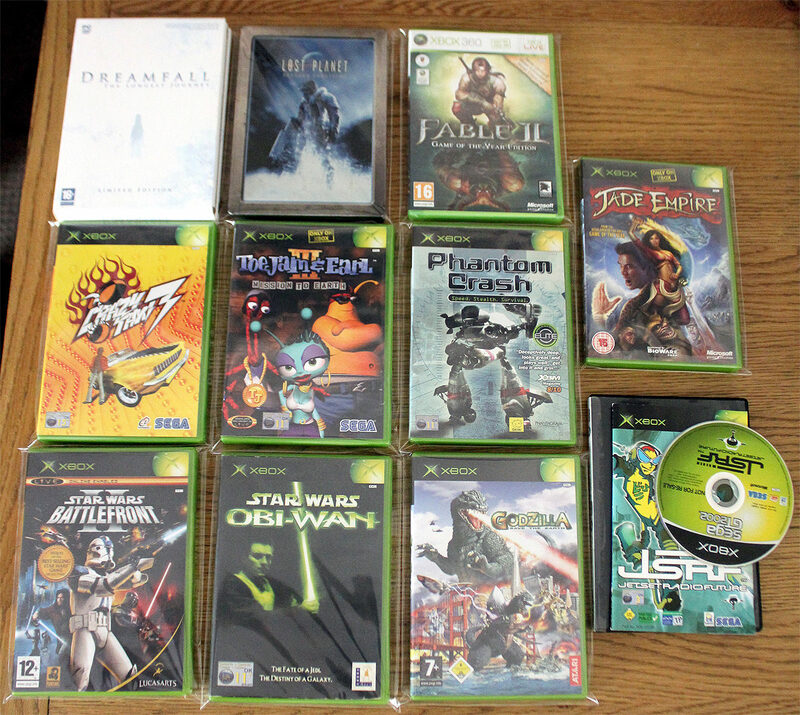 Quite the xbox haul quite some quality titles. Yeah! I've been visiting the same charity store all year and never bought anything at all but thsi week they had the majority of that! So my time visting paid off I also got Blinx 2 via post the other day. a bit shy of a 12 euro's shipped loss. My first decent Goodwill find in a long time. Finally got a good condition Sony PVM (20") to pair with my Bang&Olufsen MX7000. It looks great! 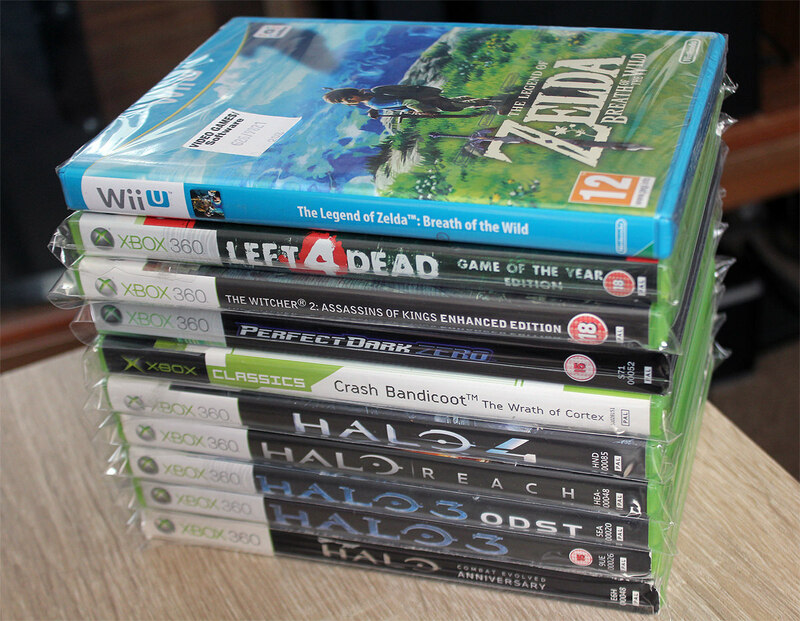 Shopping around for my new 360, got a bunch of Halo's. Glad to have Left 4 Dead, a great couch co--op game! The Witcher 2 is an interesting game as I have never been able to approach this series but with this, Witcher 1 on PC and then Witcher 3 on PS4 I might finally get around to it. Zelda Breath of the Wild also went on sale lately, considering I sold my Switch lately it seem ideal to get. Bully, Gun & Burnout Revenge were titles I had on PS2 & consider this a better version for each title. 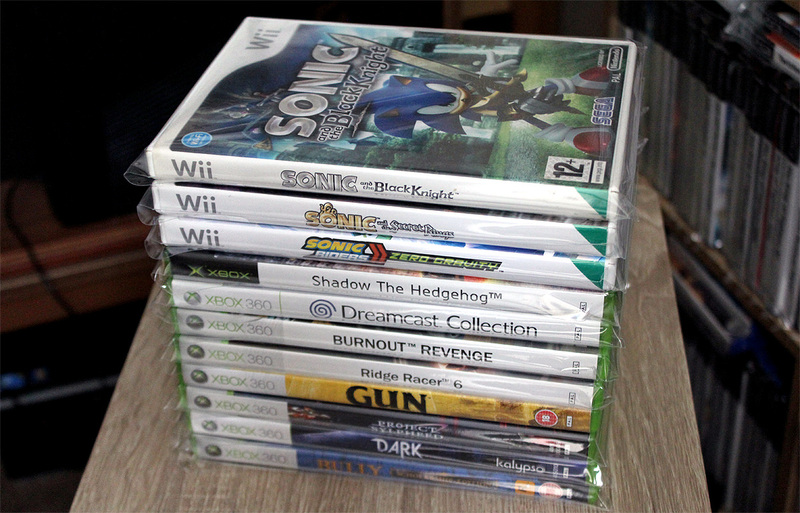 After beating Sonic Mania I decided to gather some of the other titles I've not had before. 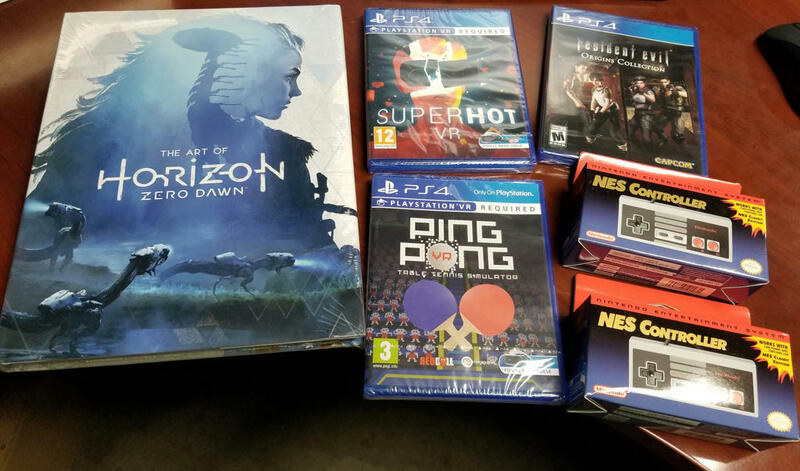 Free sony deals some pretty nice deals those were all cib in very nice shape especially pleased of the usa exclusive don;t come up to often over here. Not my kind of game though so instead I decided to get a game I really wanted as an excuse since I won't be keeping spuds adventure. I never pay close to market value but If I had to get something close to market value while being expensive it had to be something that I would not find in my country without collectors. I really like my sega stuff so I decided to get musha in cib excellent shape. It was on low end going rate wich usually include damaged copies and in europe so no import or high shipping costs, the japanese games were all available for way higher than their going rates not to mention the heavy import taxes one would pay upon receiving them. Always wanted a musha pretty pleased to add this one to the collection would most likely not find it maybe as an ex rental but since an ex rental was in collectors hands it might have been imported. if i would live in the US I would most definitely not choose musha though. If you haven't played Majin and the Forsaken Kingdom yet you're in for a treat, I had so much fun with it and would say it's one of my favourite PS3 titles now! apocalypse seems interesting as a 3d run and gun, it is the kinda game that I would most definitly enjoy. 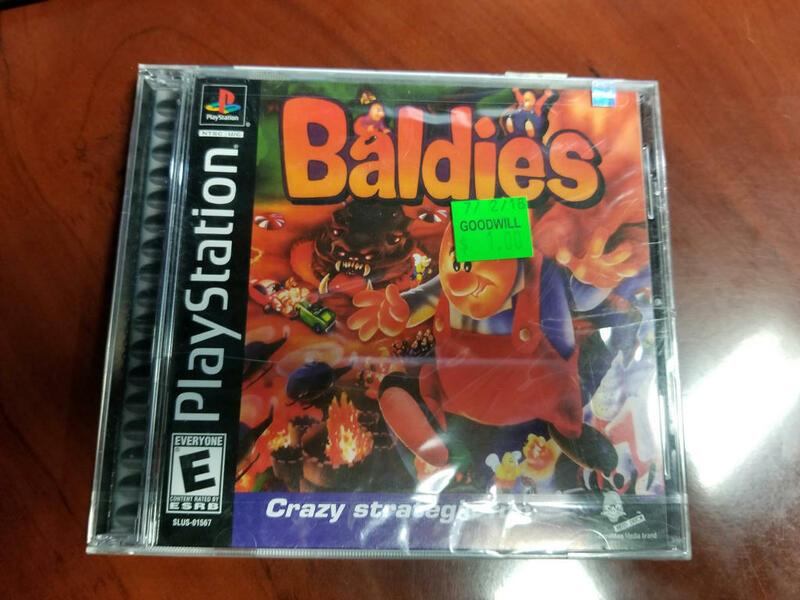 I'm pretty sure you'll find another one It's a pretty common game and pretty cheap like most ps1 games. I put some free Amazon gift cards to good use and I found a second NES Classic controller at my local Target. For those of you who haven't tried Superhot, it is amazing. Probably my favorite PS VR game so far. It's a short game, but there is definitely some replay value. Ping Pong VR was pretty disappointing. I'm no ping pong pro, but I'm competent enough to know that this game needs a lot of work and polish to fix it. 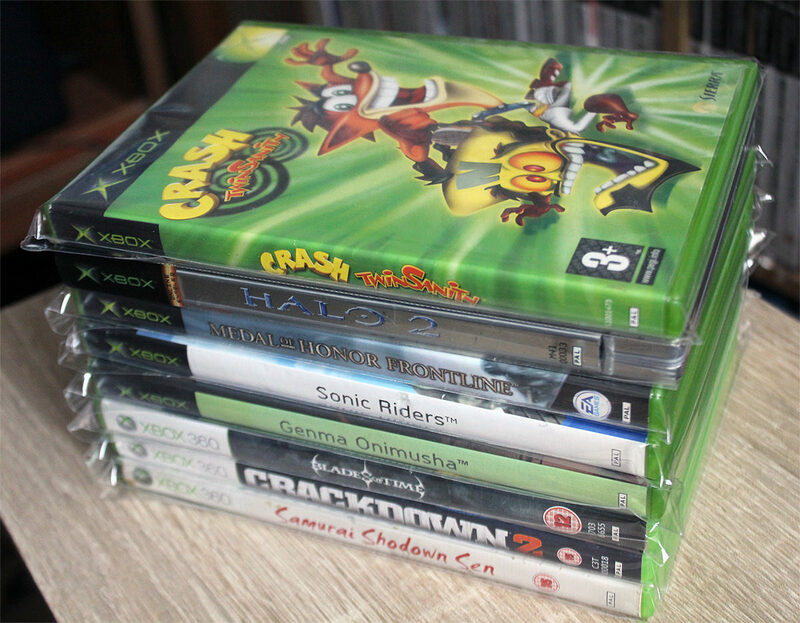 Utterly delighted to be able to play Crash Twinsanity again - I'd be daring to say it is my favourite one of all... discounting Crash Team Racing. Osome other interesting PS2 alternatives with Onimusha (Which has extras content) & Medal of honor: Frontline. nail n scale, There is a german box european version but not a fan of german only version so I'll stick with a usa one. The Art of Metal Gear Solid I-V is worth the hype though! 2 Serperate volumes covering the games and some extra Peace Walker Art too! both books have roughkly 400 pages and one book is dedicated to the Sketch work, the other dedicated to the completed and promo art for the games -This release is a triumph especdially as we never got a seperate Artbook for MGS3. The YS games are pretty pricy indeed especially for psp games, psp deals were pretty crazy these past few weeks pretty pleased with the psp adds. I'm personally more stoked of completing the legend of heroes set 1 to 3 as far as US exclusives go. 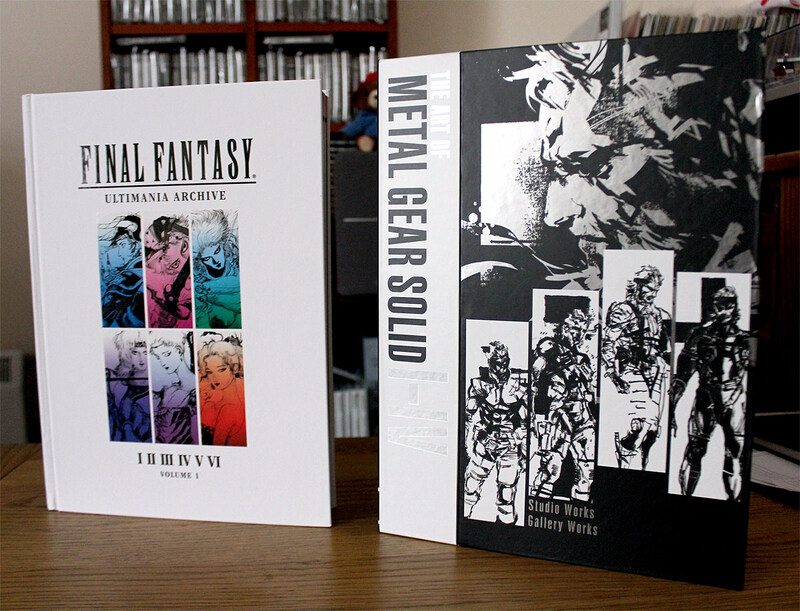 I love art books, and those MGS books look awesome. I might have to look into those for myself. Megadrive 1 console box + inserts in pretty nice shape there always in rough shape and if they are nice usually for top dollar. Was the dreamcast box set that I wanted the most I would personally call it the shenmue pack since shenmue seems to stand out the most as far as the box art goes. It is however the chuchu rocket pack. A pretty big CDI deal for free this guy had almost everything for fleamarket prices pretty insane really especially if you would consider that they also sold the zelda titles for nice value. 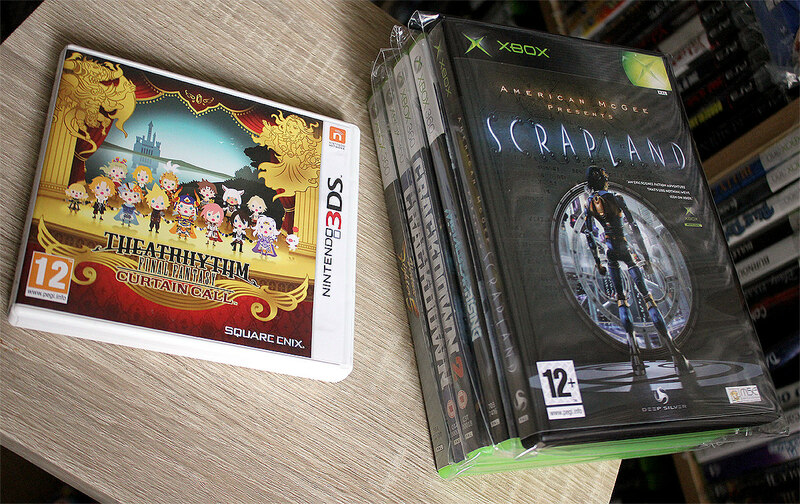 Nothing major, finally found FF Theatrhythm Curtain Call for a decent price. The most interesting game is Scrapland for the orgiinal Xbox, not heard of this before but it's from the same creator as Alice Madness so was curious. neo turf masters they kept some of the animations compared to the original pretty interesting.